Floral pattern is something ladies look forward to for several occasions. The colorful floral patterns sync well with the white base underneath. 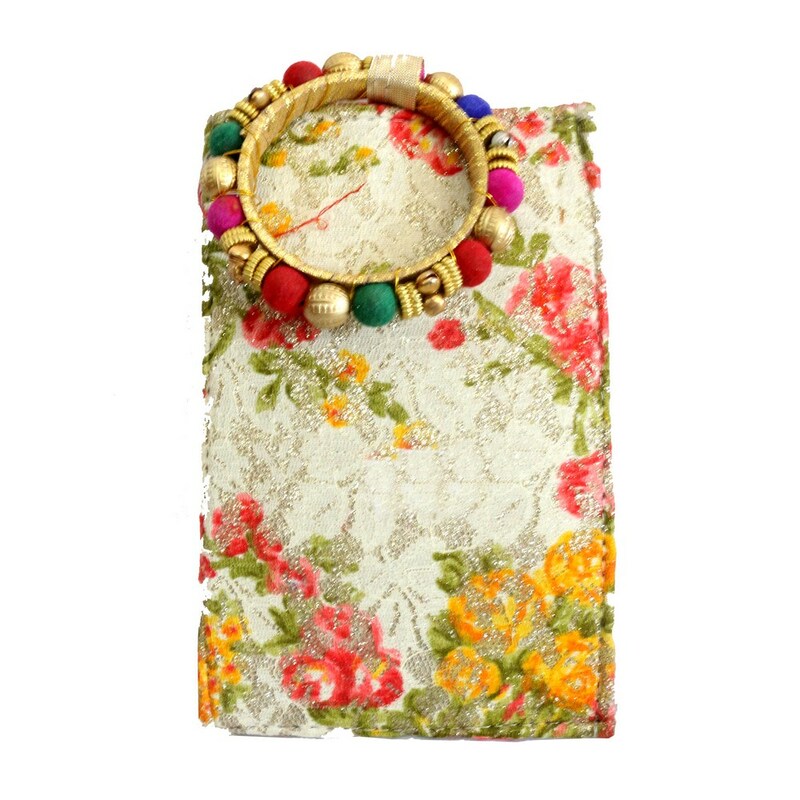 With the colorful Read More..beaded bangle, the clutch looks all the more stylish. The floral print and the bangle makes a good match for all kinds of occasions. Show Less..